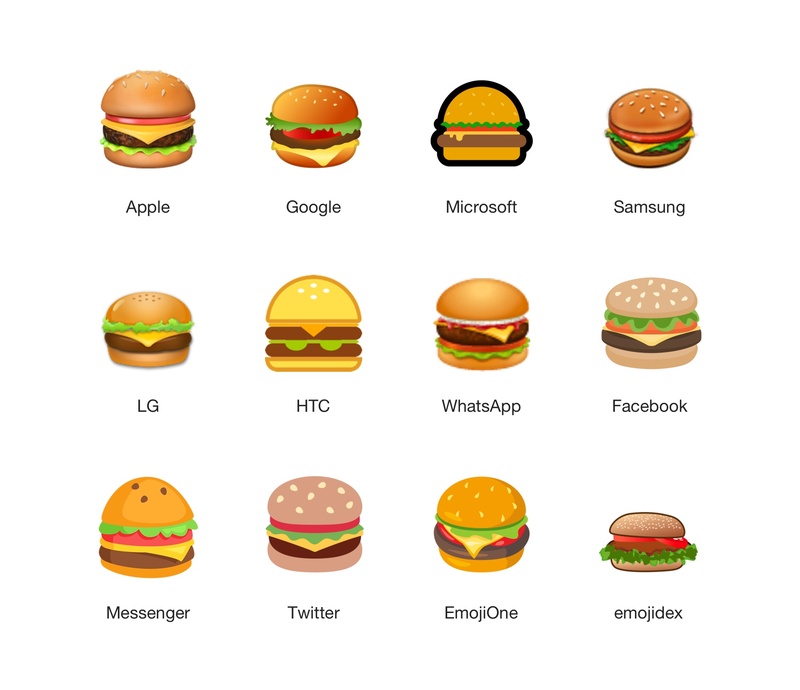 Google CEO Sundar Pichai responded to feedback on the weekend about the ingredients in the Android burger emoji saying he will “drop everything else we are doing and address on Monday”. As you may be aware, each emoji is approved by Unicode, but the actual appearance is a decision for each vendor. Just like fonts for regular text vary between fonts (the letter a might take many forms), the burger I see isn't necessarily the burger you see. There was one caveat from Pichai who said Google would look at this emoji right away “if folks can agree on the correct way to do this!”. Putting aside the hamburger-cheeseburger question, what do other vendors think about the correct order to stack a burger? Microsoft has revised the burger emoji in Windows 8.1, Windows 10 Anniversary Update, and again in Windows 10 Fall Creators Update. The most recent update was in response to user feedback regarding the lack of vegetables, and had multiple prototypes created along the way. Above: Microsoft created multiple burger designs before releasing Windows 10 Fall Creators Update. Above: Twitter added lettuce and tomato to its 2017 burger revision. Left: old; Right: new. Above: Facebook redistributed its burger ingredients in mid-2017. Left: old; Right: new. Google and other vendors have been contacted regarding their methodology for determining burger ingredient stacking order, and this article will be updated with any further responses.